The Board of Directors of the American First Day Cover Society has chosen Eliot A. Landau as its General Counsel. Landau replaces Allen Klein of California, who served as the Society’s attorney for 17 years. Landau is an attorney in Woodridge, Illinois (who retired at the end of August), an accredited APS national philatelic chief judge and frequent stamp exhibitor and lecturer on Abraham Lincoln, FDCs, registered mail and other areas. He is the co-author and chief editor of Linn's US Stamp Facts: Nineteenth Century, wrote chapters in the Encyclopedia of U.S. Stamps and Stamp Collecting and many articles on Abraham Lincoln and other subjects in philately. 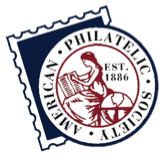 He is a former president of the Chicago Philatelic Society and former chair of the CHICAGOPEX show. In March 2009, he gave the National Postal Museum's Maynard Sundman lecture on "Lincoln, Slavery and the Civil War" and was the concept designer of the 2009 Lincoln Bicentennial issue of 4 stamps. Landau’s FDC exhibits frequently win gold medals; in fact, his "The Franklin Delano Roosevelt Memorial Series of 1945-46 and its First Day Covers" won the Americover 2007 Grand award. 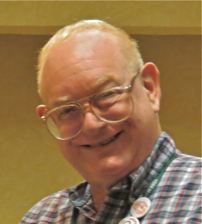 He is the contact for the Chicagoland FDC Society, Chapter #6 of the AFDCS, and general counsel for the Military Postal History Society and the Chicago Philatelic Society. He was a civil rights worker for voter registration in Mississippi and desegregation efforts in North Carolina and Illinois, and served as a law clerk to U.S. Supreme Court Associate Justice Thurgood Marshall. A law professor for 11 years, Landau taught the nation's first course on Law and Discrimination. He was in private practice for 45 years. As General Counsel, Landau is a member of the AFDCS Executive Committee, its Board of Directors, and Bylaws Committee. AFDCS officers are not compensated, nor reimbursed for their travel expenses. The Executive Committee, which also includes the executive director, immediate past president, editor, membership and education chairs, and the treasurer, meets annually at Americover, the society's annual show and convention, which in 2013 is being held Aug. 16-18 near Cleveland in Independence, Ohio, and conducts other business by mail ballots as needed.